A police pursuit of a suspected stolen vehicle in the Des Moines area resulted in a serious car accident and multiple injuries Wednesday evening. According to KOMO News, a King County sheriff’s deputy had initially noticed that a man driving a 1996 Honda was acting suspiciously near South 208th Street and Pacific Highway South at around 5 p.m. After running the vehicle’s license plates, the deputy discovered that the car had recently been reported stolen and he attempted to pull the car over. The driver reportedly began fleeing from the officer’s pursuit and headed south on Pacific Highway South in the Des Moines area. The officer momentarily chased after the stolen vehicle, which reportedly reached speeds as high as 70 mph. After the driver turned onto Kent Des Moines Road, the deputy ended his pursuit for fear of public safety. The deputy lost sight of the vehicle but continued driving in the direction that he believed it was heading. Moments later, the fleeing driver crossed the centerline near 19th Avenue South and swerved into oncoming traffic, which caused a head-on collision with an innocent woman who was driving home from work. The victim and the driver of the stolen vehicle both had to be extricated from the vehicle using a Jaws of Life device. 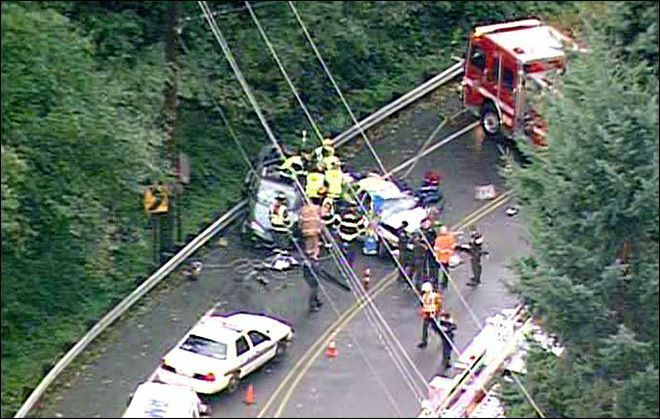 Both injured people were later taken to Harborview Medical Center in Seattle with serious injuries, and there was no additional information regarding their current conditions. Davis Law Group helps vehicle accident victims get financial compensation for their injuries and lost wages. We work closely with the criminal prosecutor to make sure that all avenues, both criminal and civil, are being pursued. 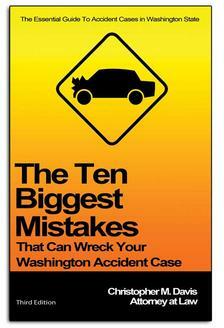 If you have been the victim of a vehicle accident, contact Davis Law Group at 206-727-4000 today or contact us online.